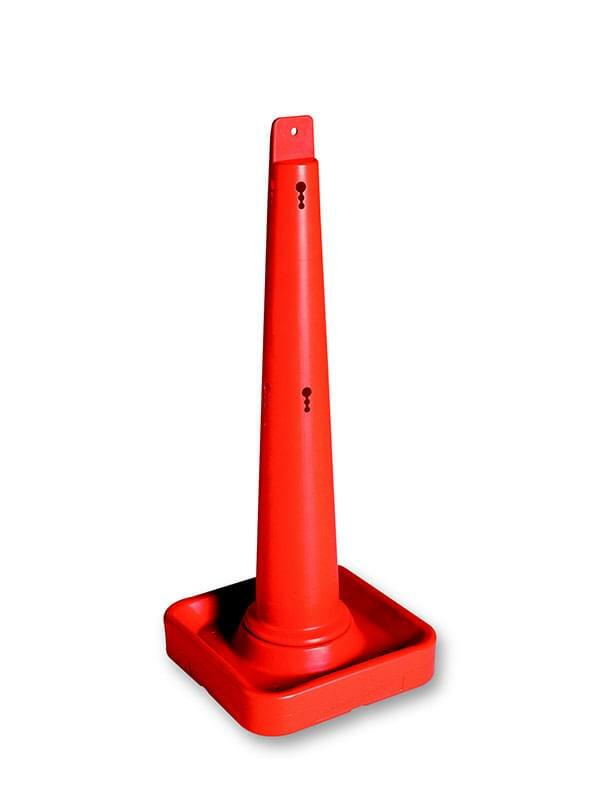 The TrafFix Cone is made of durable high density polyethylene plastic and has multiple uses in a wide variety of different applications. 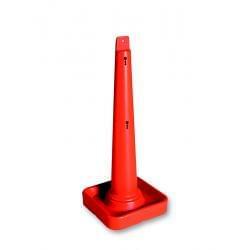 TrafFix Cones are stackable for storage and transportation but won't "stick together" like vinyl cones. The TrafFix Cones have a hollow base that can be filled with up to 23 lbs. of sand, or simply drop a sand bag on it in windy conditions. 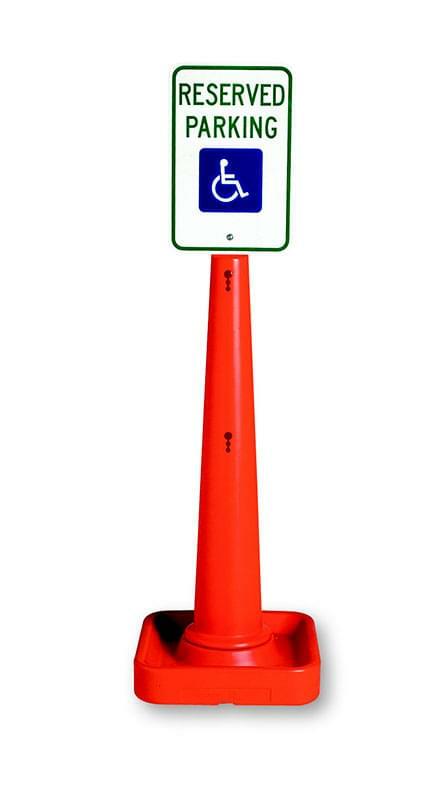 The TrafFix Cone is 42" tall and comes with keyhole slots for mounting toggled TrafFix Rails. Reflective collars can be used for nighttime use. 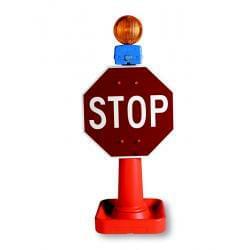 The TrafFix Cone is ideal for mounting signs and barricade lights for temporary traffic control. 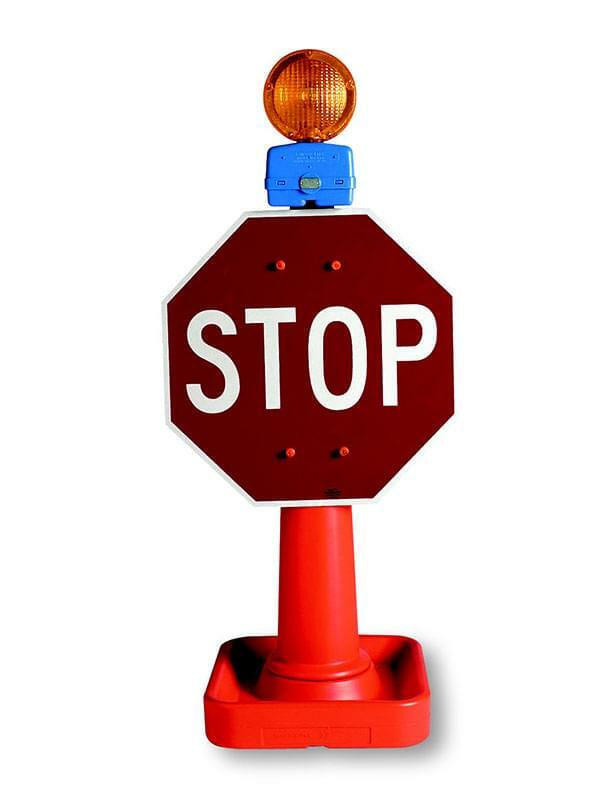 Ideal for school crossing guards, cross-walk striping, hotel/motel check-in areas and parking structures. 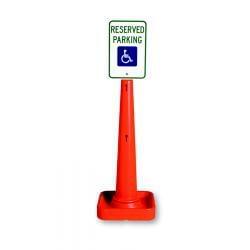 The TrafFix Cone has a hole near the top and a ledge or shelf that makes it ideal for mounting small signs. 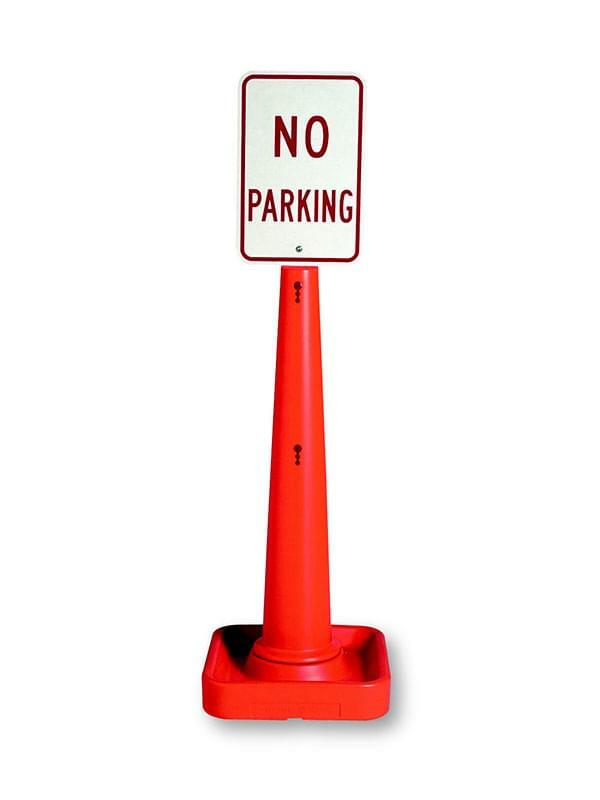 The TrafFix Cone has many uses in construction areas, parades, county fairs, or wherever safety or crowd control is needed. The cone also makes a great stanchion or support for plastic fence and other flexible products.